India is a well recognized automobile manufacturing hub in the world because of its low cost production. Cheap labor, easy availability and low cost of raw materials and weak currency are the factors that are driving manufacturing Industry. India is the 7th largest producer of automobiles in the world with an average annual production of 23.36 Million vehicles and is expected to become the 3rd largest automotive market by volume. Automobile accounts for 7.1% of the country's GDP by volume. As expected, more than six million vehicles will be sold annually in India, by 2020. Automobile component industry reached a mammoth US$ 41 billion in FY 2014-15 and is expected to reach US$ 110.7 billion by 2020. Growing working population and expanding middle class are the main drivers for the growth of automobile and automobile components industry in India. India is the largest tractor manufacturer, 2nd largest two- wheeler manufacturer, 2nd largest bus manufacturer, 5th largest heavy truck manufacturer, 6th largest car manufacturer and 8th largest commercial vehicle manufacturer. For every vehicle produced, direct and indirect employment opportunities are created with employment of 13 persons for each truck, 6 persons for each car and 4 for each three- wheeler and one person for two-wheelers. The $ 93 billion automotive industry contributes 7.1% to India’s GDP and almost 49% to the nation’s manufacturing GDP (FY 2015-16). As a major employment generator, GDP contributor and FDI earner, the automotive industry is instrumental in shaping the country’s economy and hence regarded as a 'Sunrise sector' under Make in India. In order to further promote the sector, initiatives are being undertaken by the Government of India to promote innovation and R&D and create a favourable policy regime to make India a prominent manufacturing destination. The Automobile Mission Plan 2016 – 2026 envisages creating India as one of the top three automobile manufacturing centres in the world with gross revenue of US $ 300 bn by 2026. Leading global players like ISUZU Motors, FORD Motor, Tata Motors, and Suzuki Motor have invested heavily in the manufacturing sector resulting in the setup of new assembly lines, manufacturing and greenfield units thus boosting the manufacturing ecosystem in India. Tata Motors and Fiat Ltd have set up joint assembly line to manufacture SUV cars at Ranjangaon unit (Pune), with an investment of US $ 280 mn. Magneti Marelli, Fiat’s component manufacturing arm, opened a new manufacturing facility for the production of robotized gearboxes, in October 2015. Pune based Force Motors inaugurated its Rs 100 crore greenfield plant in June 2016 for supplying engines and axles to Mercedes- Benz India. Suzuki initiated a greenfield project in car and power train manufacturing in June 2015 near Ahmedabad, Gujarat. Mercedes Benz inaugurated its second manufacturing facility in Chakan in July 2015. Sales of Passenger vehicles increased by 7.24% in FY 2015-16 over the same period previous year. Within the Passenger Vehicles, Passenger Cars, Utility Vehicles and Vans grew by 7.87%, 6.25% and 3.58% respectively in FY 2015-16 over the same period previous year. Overall Commercial Vehicles segment registered a growth of 11.51% in FY 2015-16 as compared to the same period previous year. Medium & Heavy Commercial Vehicles (M&HCVs) registered a growth at 29.91% and Light Commercial Vehicles grew marginally by 0.30% in FY 2015-16 over the same period previous year. Bang! We think of explosions as terrible, dangerous things—but that's not always the case. Every day, explosions are helping to save people's lives. If you're unlucky enough to be involved in a car accident, a carefully controlled explosion will (hopefully) fire an airbag out from the dashboard, cushioning the impact and helping to reduce the damage to your body. Airbags are very simple but also amazingly clever, because they have to open up at over 300 km/h (200mph)—faster than a car can crash! Let's take a closer look at how they work. An airbag is more correctly known as a supplementary restraint system (SRS) or supplementary inflatable restraint (SIR). The word "supplementary" here means that the airbag is designed to help the seatbelts protect you rather than replace them (relying on an airbag to protect you without fastening your seatbelt is extremely dangerous). The basic idea is that the airbag inflates as soon as the car starts to slow down in an accident and deflates as your head presses against it. That's important: if the bag didn't deflate, your head would just bounce back off it and you'd be no better off. When a car hits something, it starts to decelerate (lose speed) very rapidly. An accelerometer (electronic chip that measures acceleration or force) detects the change of speed. If the deceleration is great enough, the accelerometer triggers the airbag circuit. Normal braking doesn't generate enough force to do this. The airbag circuit passes an electric current through a heating element (a bit like one of the wires in a toaster). The heating element ignites a chemical explosive. Older airbags used sodium azide as their explosive; newer ones use different chemicals. As the explosive burns, it generates a massive amount of harmless gas (typically either nitrogen or argon) that floods into a nylon bag packed behind the steering wheel. As the bag expands, it blows the plastic cover off the steering wheel and inflates in front of the driver. The bag is coated with a chalky substance such as talcum powder to help it unwrap smoothly. The driver (moving forward because of the impact) pushes against the bag. This makes the bag deflate as the gas it contains escapes through small holes around its edges. By the time the car stops, the bag should have completely deflated. Over the years, protective systems have been improved and extended also. After driver and front passenger airbags, Mercedes-Benz developed sidebags and headbags for protection during lateral collisions – with great success. According to the findings of accident researchers, the probability of serious or fatal injury in the event of a lateral collision in a vehicle equipped with headbags is reduced by more than half. The proportion of seriously and fatally injured occupants in lateral collisions fell significantly in the cases examined. Protective systems are becoming more and more intelligent. Belt tensioners, for instance, improve the protective effect of seatbelts. Multi-stage airbags respond according to accident severity. All in all, the control systems for these onboard safety features now have the processing power of the ‘supercomputers’ used in space exploration 25 years ago. Although perhaps not as influential as the seatbelt, the airbag’s contribution to vehicle safety is indeed significant – and when combined with a safety harness unparalleled in terms of saving lives and reducing injury. All safety experts agree that the airbag can never be a substitute for seatbelts. It is only in conjunction with a seatbelt that it becomes an optimally coordinated system that demonstrably makes a major contribution to the prevention of severe or fatal injuries to the occupants during serious accidents. How to spoil a car thief's party! In 2015, a vehicle was stolen every 13 minutes in Delhi. In 2014, the average interval was 23.6 minutes. The situation is worse in Manipur, Haryana and Bihar. Thieves have never been this efficient before, and your car or bike never more unsafe. Investigators accept the situation is grim which is why it is important to have a comprehensive insurance policy. To make a claim, the vehicle needs to be covered under the comprehensive insurance policy, which includes third-party cover, loss/damage to vehicle as a result of an accident, fire or theft, and risks against natural calamities. 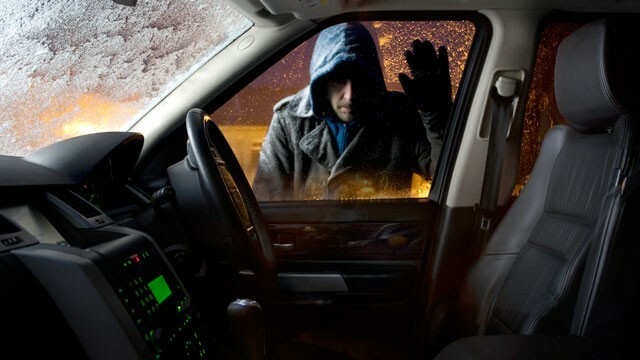 You can take several steps to protect your automobile from falling into the hands of car thieves. Never ever leave the vehicle unattended without locking the ignition and removing the key. A significant number of automobiles are stolen because drivers fail to remove ignition keys. Licenses, registration cards or other identifying papers that a thief could misuse should never be left in the car. Keys should be carefully guarded. If the keys have punch-out numbers these should be removed and kept at home for reference in case of loss. · Music decks and other expensive items in full view invite theft. · Do not keep license, registration or title in car. If left in car, thieves can use these documents to sell your car if stolen, or to impersonate you when they are challenged by police. · If you have a garage, use it. Lock both the vehicle and the garage. If your car is stolen, the police will need specific information to identify the car, parts and accessories. Take the time to record detailed information. If a car thief replaces your license plates, alters the vehicle identification number or repaints the car, other points of identification will be available. There are several alarm systems that will serve to deter or discourage the car thief, and alert others of forced entry into the car. However, don't forget to opt for a comprehensive insurancepolicy. It's your best friend when your precious vehicle goes missing. More than 140,000 people were killed on India's roads last year, according to figures released by the government, the BBC reported. The total number of fatalities represent an increase of 4.6% on the previous year. More than half of the people killed in more than 500,000 road accidents last year were aged 15-34, the reported added. Road accidents are common in India, often due to poor driving or badly maintained roads and vehicles. 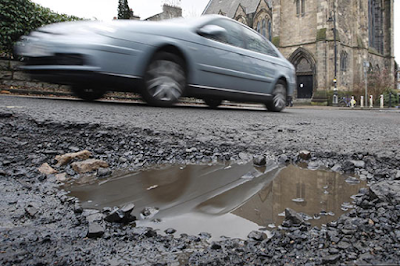 Experts blame poorly designed roads. Thirteen states, including Tamil Nadu, Maharashtra, Madhya Pradesh, Karnataka, Kerala and Uttar Pradesh, accounted for more than 80% of all road accidents and fatalities. Nearly eight in ten accidents were caused by drivers, with 62% of those blamed on speeding. Transport minister Nitin Gadkari said there is an "urgent need" to improve road infrastructure as the numbers showed road accidents were one of the single biggest causes of death in India. "Accidents are killing more people in India than terrorism or natural disasters and yet we never talk about them," Mr Gadkari said. "It saddens me that there has been a negligible impact on reducing the number of deaths despite our best efforts in the past two years," he said. Mr Gadkari was quoted by the AFP news agency as saying his ministry was working to expand the country's highway network from 96,000 to 200,000km (60,000 to 124,000 miles) to ease the burden on the roads. Road accidents shave 3% off the country's GDP every year, he added. The ministry said it is trying to improve poorly designed roads, identify vulnerable spots, and deploy electronic surveillance to deter traffic offences. It is also in talks with state governments over a new road safety bill, which will be tabled in the next session of the parliament. The proposed law will crack down on traffic offences and suggests steep penalties for offenders, including minimum seven-year jail terms in accidents that result in deaths. At Policynation.com, we believe in Customer first at all stages of interaction - whether buying a new policy, renewing an existing policy or when it comes to claims or support. © 2016 PolicyNation. All Rights Reserved.. Travel theme. Powered by Blogger.